Students research media to explore multiple perspectives about current issues. They discuss, debate and analyze newsworthy events in order to evaluate the soundness of the reasoning of another speaker’s argument while expressing their own clearly. This class helps students develop the skills to analyze literature and determine the central themes of texts. Through discussion, close reading, annotation, and comprehension questions students explore two challenging novels every term. Young writers gain tools necessary to improve writing skills such as structure, organization, and grammar. Students learn various genres of writing techniques and these techniques will fully prepare students for the writing portion of nationwide standardized tests. 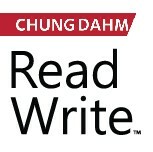 자세한 스케줄은 웹사이트(www.BostonReadWrite.com) 에서 확인 하실수 있으며 등록문의는 info@bostonreadwrite.com 이나 857-404-0170 으로 하실수 있습니다.